A great meal is always enhanced by an intermezzo. 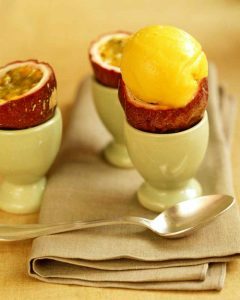 Sorbet cleanses the palate and allows you to open up your tastebuds for the flavors to come. Think about adding a little mental sorbet to your work diet. What do you need to keep your mind open and allow yourself the ability to analyze data and apply that knowledge to creating thinking? Working hard to love your job will result in a job well-done. If you don’t love what you do and can’t love what you do, then you need to make a change. Adding a little “mental sorbet” to your day-to-day tasks, stimulating and challenging your mind, finding new and better ways to do your job more effectively, might be all the change you need. If you are bored…. find a way to mix it up. 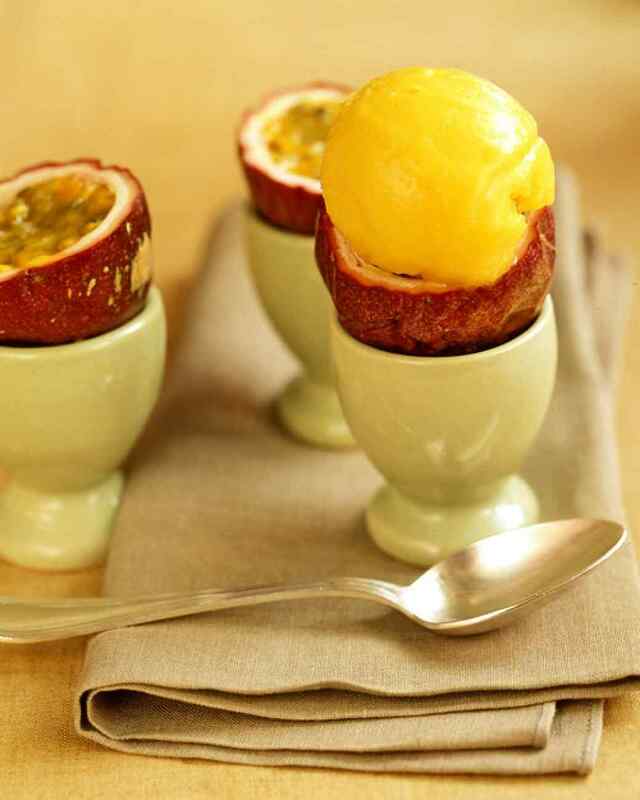 Try passion fruit sorbet at your next meeting instead of the typical lime sorbet. Make sure you have a good relationship with your colleagues and with your boss. Communicating effectively and respectively with your boss, peers and direct reports is a great kind of mental sorbet. People don’t leave companies, they leave managers. So be a good manager/leader. Appreciate each other and congratulate each other on a job well-done. Mental sorbet shouldn’t be an afterthought, it should be part of the menu. Take time to celebrate when celebration is deserved. What sets our team apart from other management teams is the fact that we understand that our mission is three-fold: Serve our Guests, Serve our Associates, and Serve our Clients. Work together so everyone has work-life balance. Your people strategies are important: Attract. Recruit. Hire. Train. Retain. If you have great people skills then you have time for a little intermezzo. All work and no play does not make for great times in any work environment (or home environment). Human Resources will help you develop good strategies, but Human Resources is a team sport, not an individual sport. Work together. ← Lettuce Turnip the Beet and Sell!